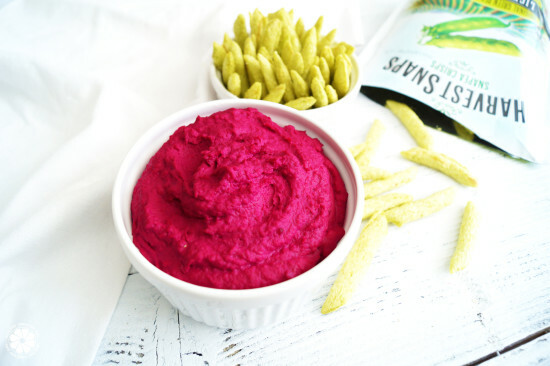 I’m obsessed with this dip!! 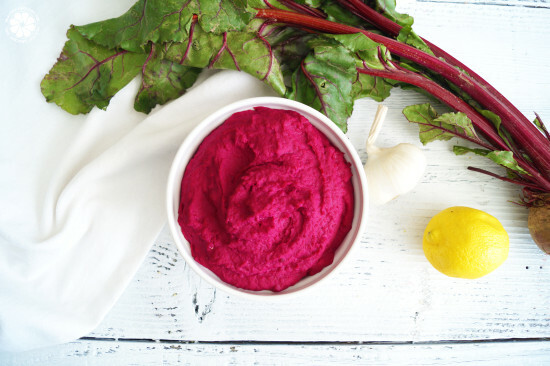 It’s basically hummus but made with white beans and beets for an amazingly bright pink color! 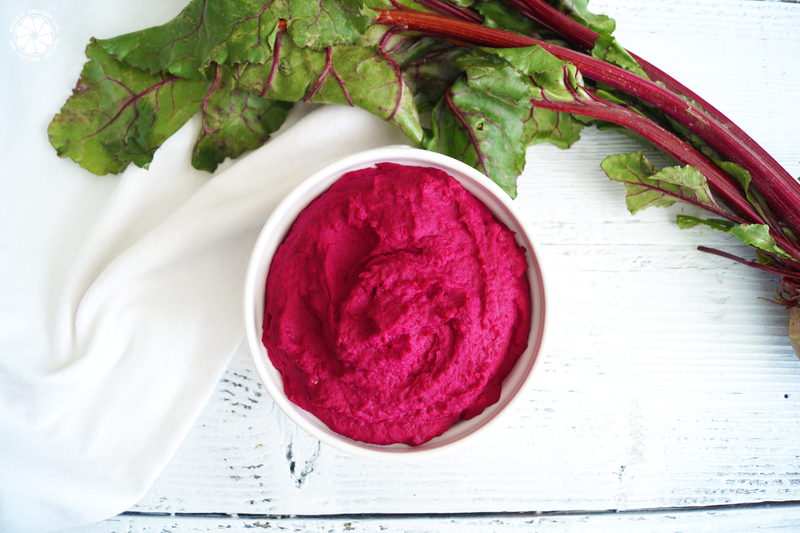 What goes great with dip is something crunchy for dipping! 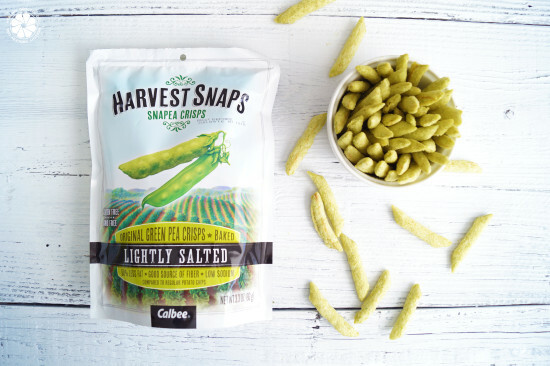 My pick for today’s recipe are Snap Pea Crisps from Harvest Snaps. Have you tired them before? If not, you’re going to love them! They are a great compliment to today’s dip, so let’s get to it! I hope you enjoy this video and give it a try! 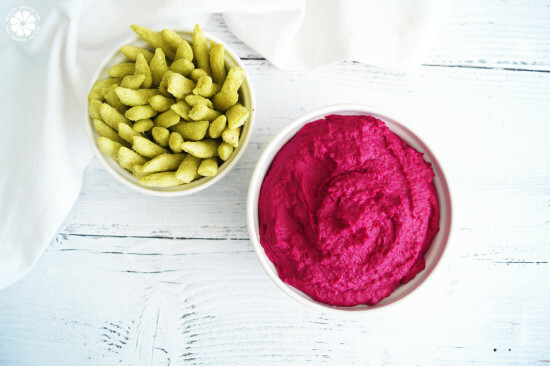 This creamy and delicious dip recipe makes your snack table pop and is the perfect companion to your favorite Harvest Snaps. 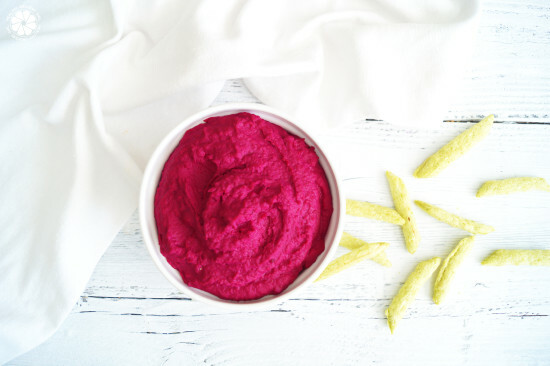 Whip it up in a snap and get the party started, or just make it for yourself. 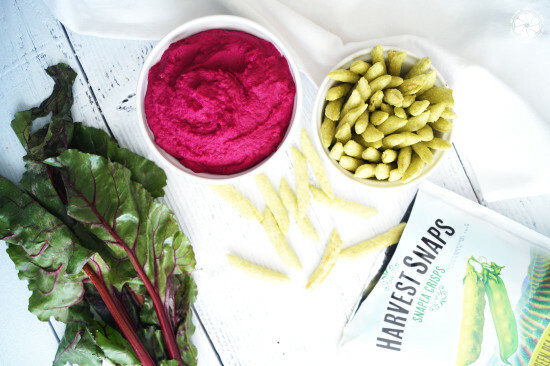 Enjoy with your favorite Harvest Snaps flavor! Disclosure: Thank you to Harvest Snaps for sponsoring this video and post! All recipes, opinions and ideas are my own.